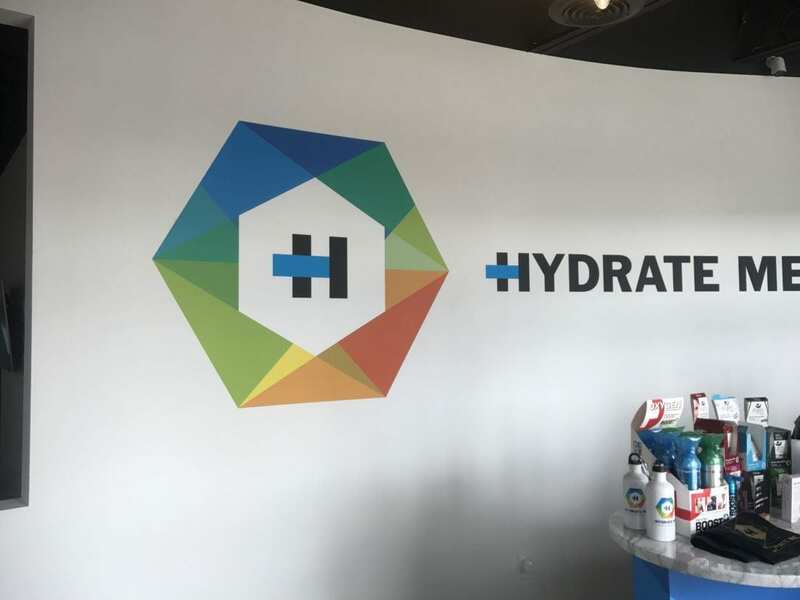 First I Got Super Drunk, Then I Stumbled Into A Hydration Clinic The Next Day. Here’s What Happened. Because when it comes to finding a cure for hangovers, there’s nothing I wouldn’t do for science. Which is why, at 10 o’clock on a Friday morning, I found myself reclined in a chair and wired to a plastic nasal tube. A damp and slimy mask clung limply from my face and a charming but forgettable rerun of That 70s Show played on an oversized flat screen. I was anxious. I was confused. But more than anything I was hungover. I was oh so hungover. But let’s go back. Just weeks beforehand my editor sat me down and very seriously said to me in no uncertain terms, “I need you to get drunk”, to which I very solemnly replied, “Yes. 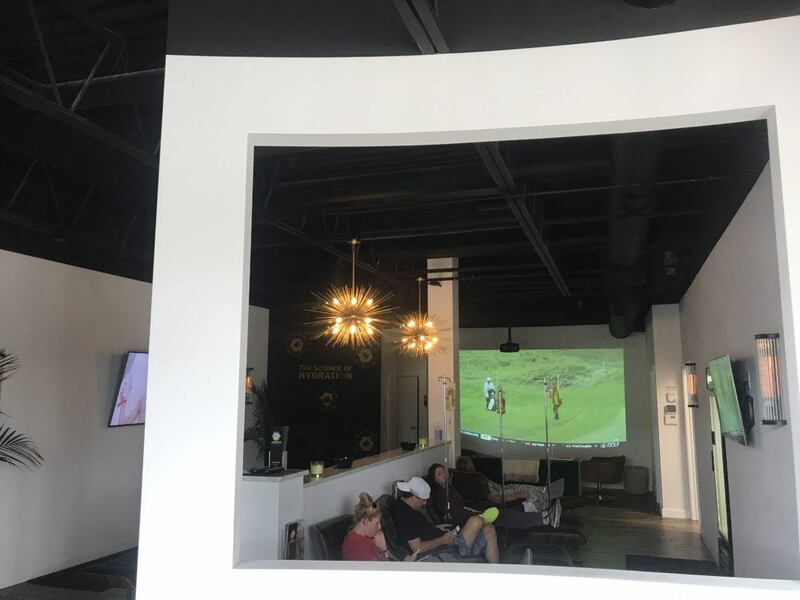 I will do this for you.” Our idea was to test out a new business that had recently opened up in Grandview. 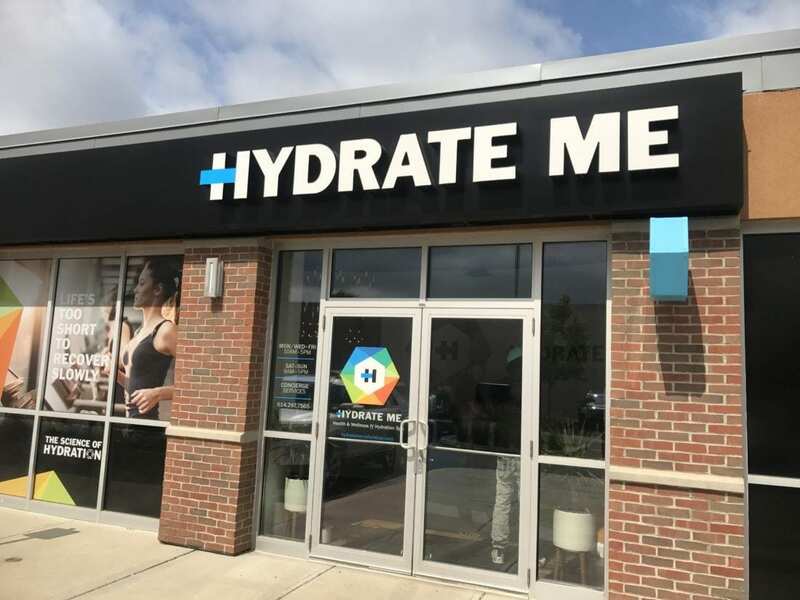 Hydrate Me advertises itself as a “Health & Wellness hydration spa”. They market themselves to athletes and health enthusiasts but also (and more importantly) to the tragically hungover. Open since February, the clinic provides a multitude of different services and IV treatments. 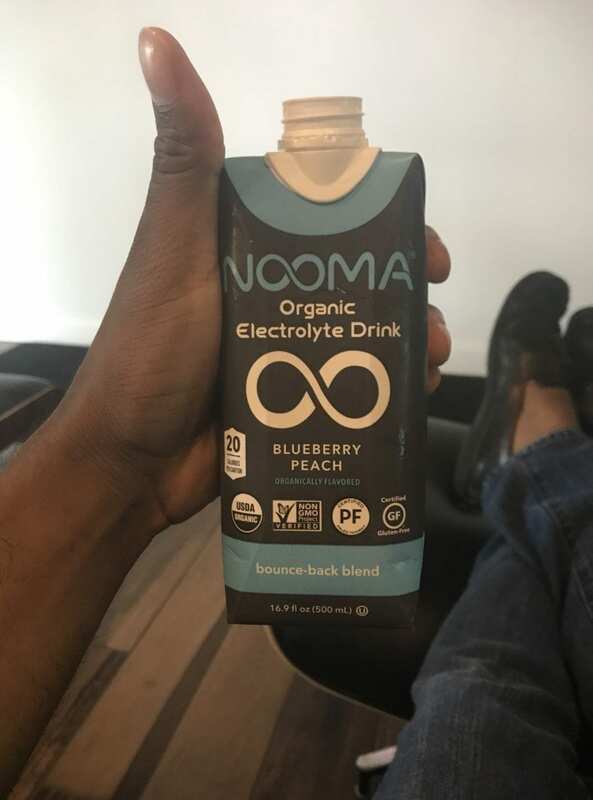 Their Pre-Competition blend combines B-vitamins, antioxidants, and amino acids to give you a motivational boost for heading into your workout. 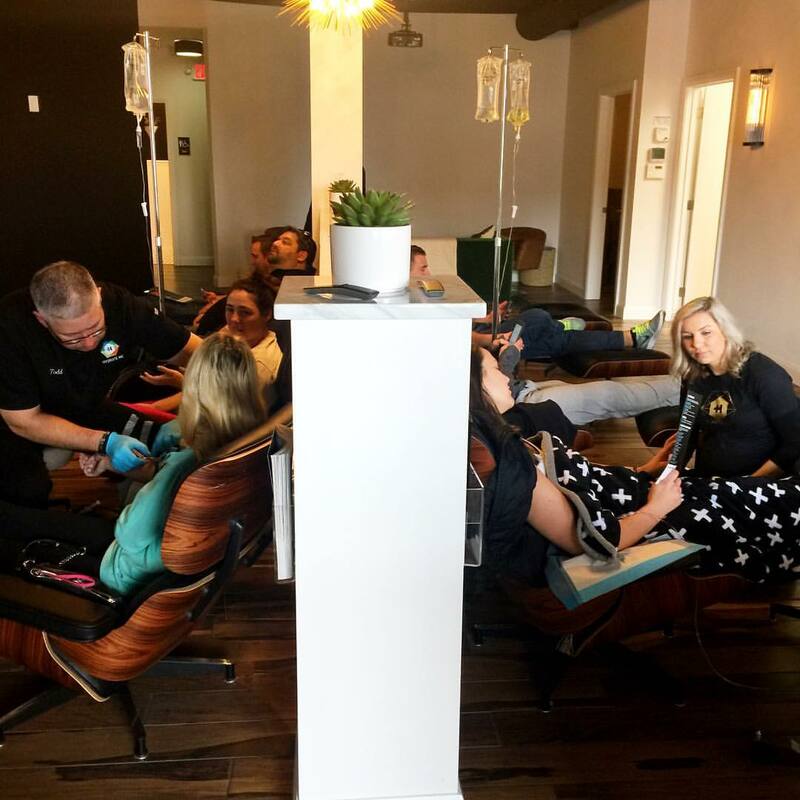 They also have Pre and Post Party IV blends that don’t just hydrate you, they throw in Pepcid, Zofran, and a B-complex that helps to settle your stomach and gets you ready to start your day. In other words: Challenge accepted. 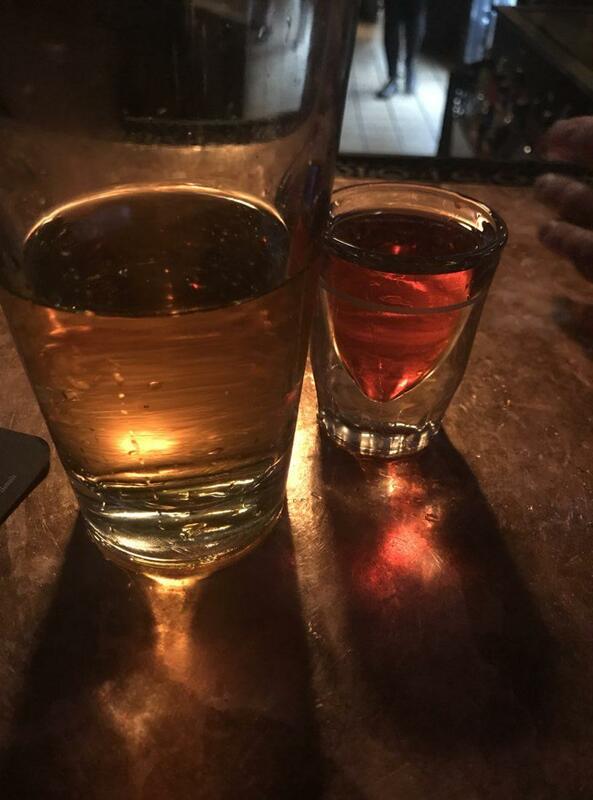 The night before my scheduled appointment with the clinic, I walked into my neighborhood watering hole, dead set and determined. My mission was clear: to pile an irresponsible amount of booze into my body so that I could test the limits of Hydrate Me’s hangover-curing capabilities. I was sure that its IV cocktail of vitamins and minerals worked wonders for most people, but I wasn’t most people and the medical field had yet to square off against the stubbornness of my particular liver. Featured above is the infamous “Ray Jay”. An especially dangerous concoction not for the faint of heart. About an hour later I felt oddly compelled to explain to the bartender that I was doing this for science. That the world needed me to be hungover tomorrow. This had evolved into more than simple journalism, I was practically a crew member of the Apollo itself. 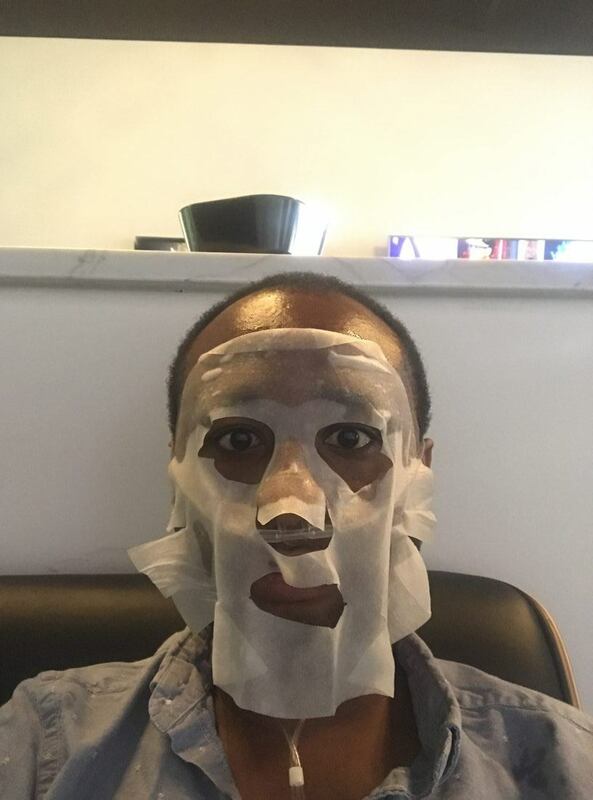 I was an explorer, venturing past the realms of the comfortable and well known, documenting my findings for my fellow man so that someday, those who come after me will know the truth. Future youths would look back, see my name on a placard of civilizations greatest contributors, and give a weighted and tearful nod in recognition of my sacrifice. Of course, I explained all of this to the barkeep in great detail. “Uh-huh.” He replied nonchalantly before walking off to wipe down another area of the bar. Obviously, he was ignorant of how selfless and important my cause was. The next day I found myself ragged and bleary-eyed, trying desperately to pass myself as a functional human and failing at it miserably. I squinted angrily as I filled out a medical form on an electronic tablet with a screen that was just a tad bit too bright. The nurses were all very kind and informative as they guided me to a row of leather recliners. I went ahead and chose their non-IV treatment (because needles creep me out). 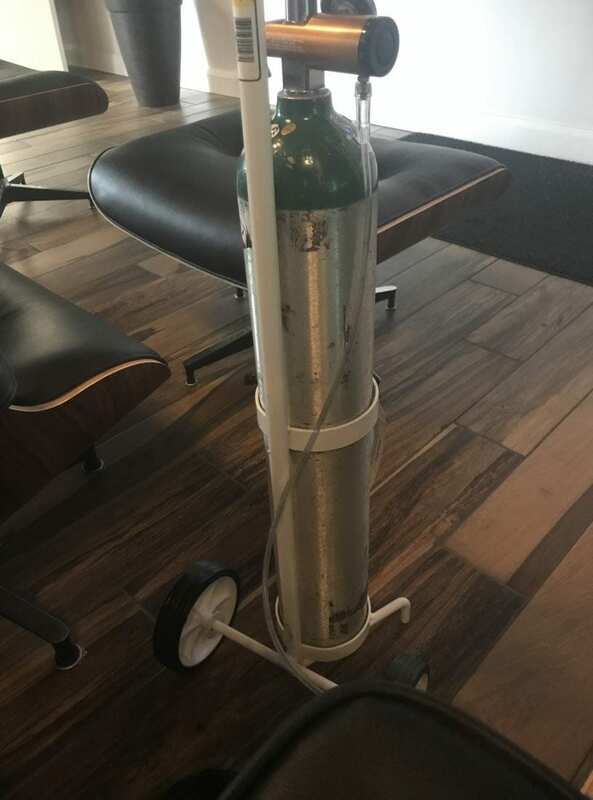 A combination of oxygen fed directly from a breathing tube, a face mask, and a delightful little blueberry beverage came with the entire $45 treatment. The Pre and Post Party direct IV therapies come to about $99 and the Competition package weighs in at $149. 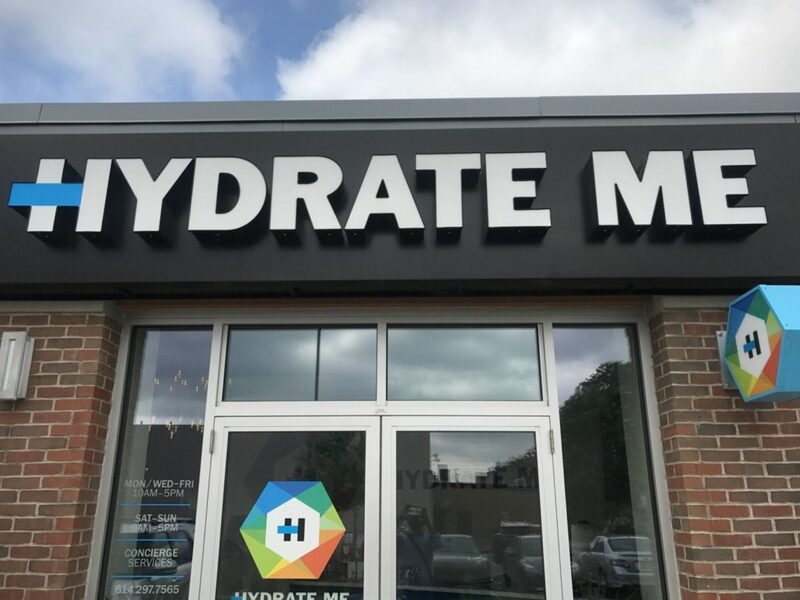 What Hydrate Me claims to accomplish is a more efficient and effective means of delivering nutrients directly to the body. Orally, the body only processes about 25% of the vitamins and amino acids that it ingests. With IV therapy, none of the good stuff is wasted. All of those essential minerals and hydration gets jacked directly to the system. The clinic was started by Dr. Brian S. Seifferth, an OSU medical grad with more than 20 years experience in the field. Not only does he know his stuff from a medicinal standpoint, but he’s also a competitive body builder. He knows first hand just how important it is for the body to reach maximum optimization going into a workout. He also knows exactly how sluggish and drained you can feel afterward if not given the proper care. But how does the treatment measure up to a hangover? All in all, afterward I felt wired and ready to go but relaxed at the same time. My mind still felt a little sluggish but I’m sure the direct IV treatment would have been far more effective for that. I’d definitely like to go back in sometime and try a direct IV, but I think I’m probably going to be giving my liver a little more time to recover before I go galavanting from bar to bar again, chasing windmills and fantasies of discovering a perfect hangover cure for all of mankind. Hey, we all have dreams, mine are just cooler than yours.